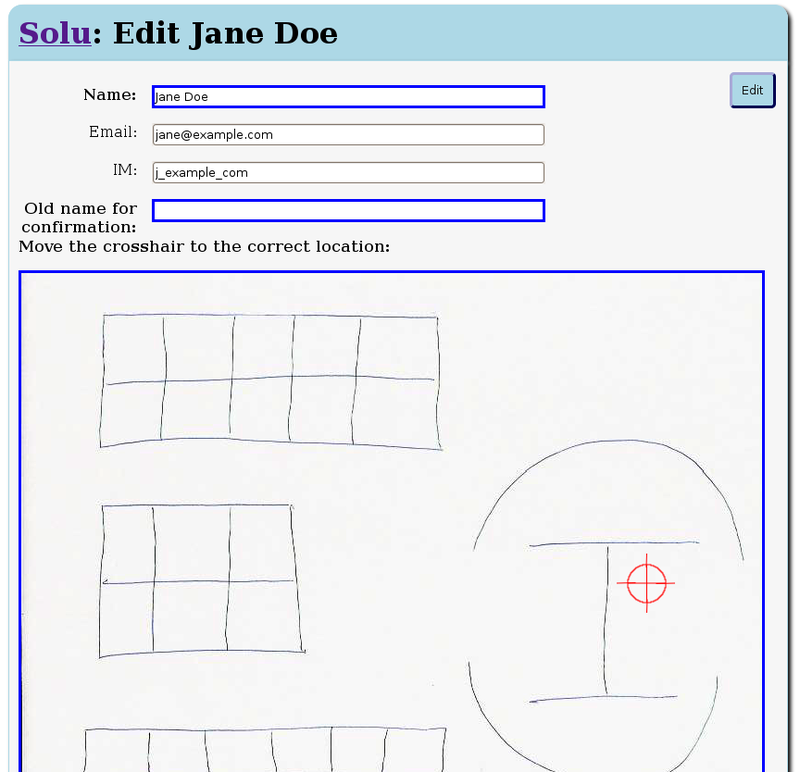 Django-Solu is a port of Solu using the Django web application framework. 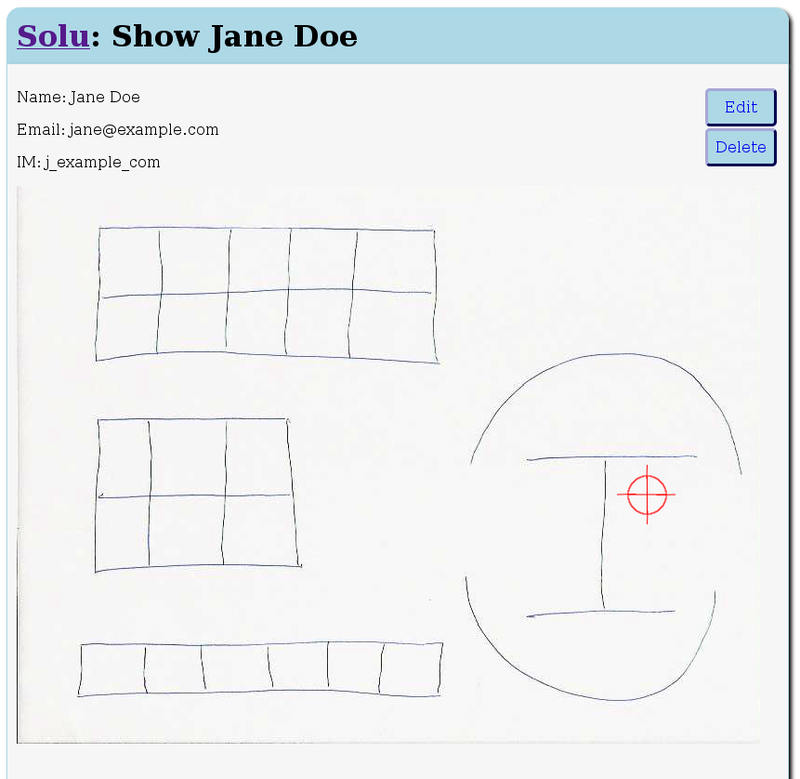 Solu is a simple web application meant for making it easy to find colleagues, meeting rooms and other resources in an office. Django-Solu adds support for administrators interface and capability for multiple maps; an administrator can add, modify and remove maps. Otherwise the functionality is identical to the original. Django-Solu has no real installer or even release, but if you are familiar with Django, you should have no difficulty setting it up. Check out the sources, and off you go. You should also have your office floorplan or blueprints stored as an image file. The name "Solu" comes from "Self-service Office Locator and Updater". It is also a word in the Finnish language and means "cell" (biology). You might also be intersted in checking out the initial release announcement. Head out to the demo to try it out. Data will be cleared periodically. Django-Solu is Open Source software, licensed under the Open Software License 3.0. Django-Solu also uses jQuery, which is dual licensed under the MIT License and GPL. Bugs, suggestions for improvements, patches and so on are welcome.